Saturday Morning, I got up Bright and Early because it was Bloomingdales Big Brown Bag Sale! I had Coupons Galore and was Ready To Bargain Shop. 'Til I Dropped! In case you don’t know, this is one of Bloomie’s Best Sales Of The year! I bought A Super Hot Ella Moss (Little) Black Halter Dress and A Magnificent Marc By Marc Jacobs Wrap Dress for Next To Nothing! Seriously – even The Cashier was Impressed! Fabulous New Clothes! Then, I paid a visit to Bath And Body Works. Do you all know I Am Addicted To Body Lotions and Shower Gel? Well, I Am. And, Bath And Body Works is My #1 Enabler. And, well, Poor Totally Awesome Boyfriend has Just A Bar Of Soap in his shower and bathroom sink. So, being A Totally Awesome Girlfriend, I purchased Sweet Smelling yet Festive (and Masculine) Shower Gel and Soap for him. He loved his Gifts/Much Needed Items Very Much and now His Entire House smells like Delicious Pumpkin Pie, minus The Pesky Pumpkin Pie Calories! Well, The Entire Bathroom smells that way, at any rate. The Rest Of The Place still sort of smells like A Locker Room. But, um, I am Working On That. Baby Steps. Pumpkin? Yumpkin! 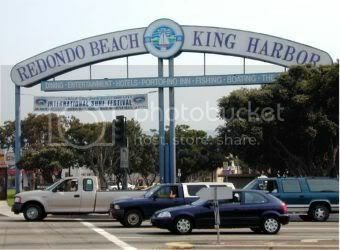 Saturday Night, Totally Awesome Boyfriend took me to A Cocktail Party in Redondo Beach. The Cocktail Party was, well, kind of Boring. But, The Cocktails were Not! We each enjoyed Some Tasty Beverages, listened Patiently to A Woman complain to Totally Awesome Boyfriend that The Network He Works For is Destroying Our Youth, enjoyed some Mini Chocolate Peanut Butter Cups, and Left. It was Fun! On our way home, Totally Awesome Boyfriend got us Totally Lost when I Told Him To Turn Left And He Listened To Me. But, who told him to Listen To Me? No One ever actually Listens To Me! Just like A Typical Man, he got Grumpy which made me Sad, not because We Were Lost, but because if he was going to Get Grumpy over One Wrong Turn, it meant we were never going to Make It in The Amazing Race and Win A Million Dollar Prize. But, Don’t Fret! Eventually, we Turned Around and made it To The Pit Stop, otherwise known as Totally Awesome Boyfriend’s Place. Alas, there was No Sign of Phil. These Cars are probably going The Wrong Way, too! Sunday, we woke up and enjoyed Totally Awesome Boyfriend and The Daily Randi Day, which meant we were going to do Absolutely Nothing! Well, we didn’t Exactly Do Nothing. 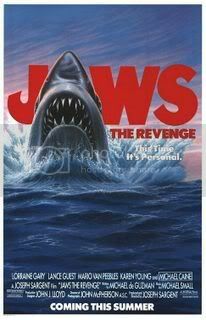 We watched Jaws 4 The Revenge! Booooo! But It Sucked. So we sort of Fast Forwarded through most of it. In fact, it was So Sucky, I had to IMDB all The Actors just to be Reassured that The Cast Never Worked Ever Ever Again. But, I found out that The Actress Who Played The Granddaughter in The Stupid Movie was Murdered (with her Mother) by her Father shortly after The Film Was Made. Which made me feel Badly because I was Complaining That She Was The Most Annoying Child Actress That Has Ever Been Captured On Film and I hoped she would get Eaten By A Shark, even if It Wasn't By The One In The Movie. Annoying Child Actress, R.I.P. Also, we walked to A Local Diner and enjoyed some Lunch. The Best Part was we ordered Chopped Liver which is My Favorite Sort Of Lunch! Feel Free To Mock. What do I look like? 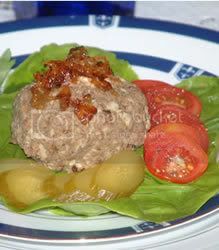 Delicious Chopped Liver (on a bed of lettuce)! 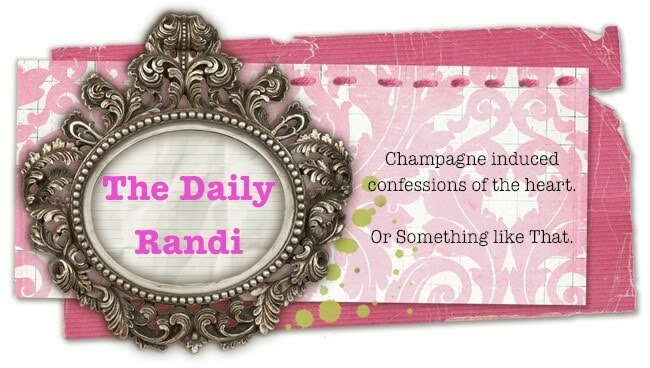 And now for your viewing pleasure, here is A Slideshow of This Week’s The Daily Randi Weekend, presented within An Electric Guitar. If you Move Your Cursor over The Strings, you can Play Rockin' Tunes To Accompany The Rockin' Slideshow/Weekend. As usual, Please Enjoy! 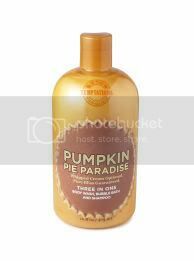 i've actually heard that the smell of pumpkin is an aphrodisiac for men. I think Totally Awesome Boyfriend might work for the network I used to work for (for 6 years!) so we might know a ton of the same people. Fyi- Chopped Liver, Pumpkin and Bloomingdales are Dee-Lish so I think you had a lovely weekend. Nicole, yes, Totally Awesome Boyfriend works for the network you used to work for. And, Totally Awesome Boyfriend is friends with my sister's former boss's boyfriend. Small world. But anyway. Chopper liver and pumpkin are two of my least favorite things. Just thought I'd share. Too bad the annoying granddaughter in Jaws the Revenge didn't go on to have a career like Michael "I'll Do Anything for the Money" Caine. ESC - I can Attest - Pumpkin is An Aphrodisiac for Men! Nicole - I find it Ironic that you have determined you used to work for The Same Network as Totally Awesome Boyfriend based on the phrase, "The Network He Works For is Destroying Our Youth." Ha. Hilary - Not enjoying Chopped Liver is Sacrilege! Randilicious - I spent 6 years Destroying Our Youth. Good times had by all! Plus, I think one of you mentioned a dating show. 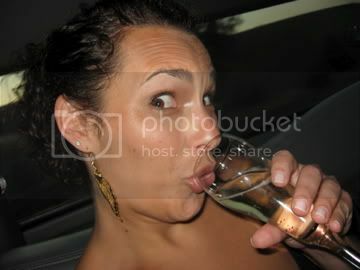 Dating Show + Ruining Youth = my old job of paying for said life ruining. I'm totally asking my old crew about Totally Awesome Boyfriend. Ha!